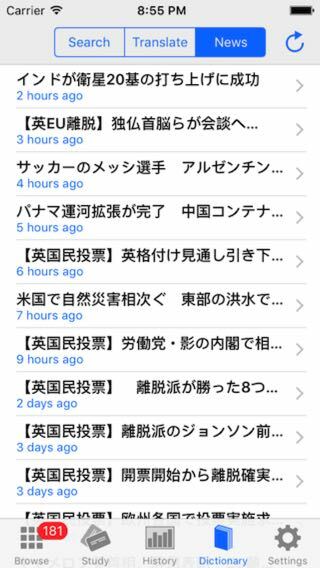 A live, Japanese news feed translated within the app? Ah, go on then. With the powerful translation feature already built into the app the next logical step was to give it something to get its teeth into. Namely, a live news feed filled with current events ready to be read, saved and studied. As someone once said, ‘It just works’. Coming in the next update.